Earlier this afternoon I was curating articles for the next edition of Wiredprofiles and came across a petition on change.org. It stated the following: America should be a leader in computer science education, yet today most schools don’t even offer this foundational subject. Please join the CEOs, governors, and education leaders below and ask Congress to support computer science in every K-12 school — for our children, and for their future. This petition has gained momentum after a large number of tech giants, along with other corporate heads have petitioned the congress for monies to increase student access to technology, specifically computers and coding. 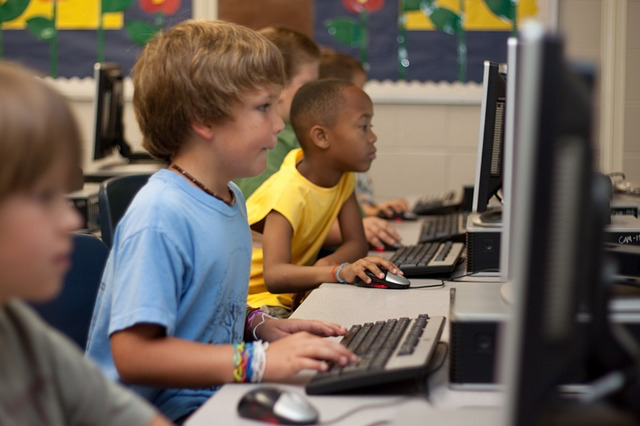 This ask follows President Obama’s call for more than $4 billion in funding for states to provide greater opportunities for students to use technology in their learning. I have lead a district wide technology initiatives that included the development of a preK-12 computer science curriculum, implementation of learning and human management systems. I am a big believer in the power of educational technology and a supporter of expanding computer and technology access to all students. In fact, that access should come at little to no cost to students, including their internet access. The emerging technologies are no longer a trend, but is a necessary tool that supports student learning, much the same way as a book, a journal, a blackboard does. I do have a concern, however. One of the things that we as educators tend to do with propositions, is to make it about the “thing” and not about the quality of the learning experience for the student, and the service that the thing can provide. Too often we look for the new best thing, or the latest opportunity instead of realizing that student success comes when quality teaching and learning takes place in the classroom, day in and day out. And the greatest asset in that endeavor is the classroom teacher. Technology is a tool that supports teachers in expanding their repertoire and their offering. That leads me to the question of coding. Should all students learn to code? Why? Will they all be expected to become computer scientists? Do we clarity of purpose around it? Many of us recall our own experiences in high schools nad college with Basic, Fortran, UNIX computers, CRT time-sharing, and punch cards. I have forgotten most of it because in my experience there was limited use for it, with few opportunities to apply it in any other aspect of my schoolwork. As we move forward with expanding student access to technology, lets consider what coding can actually teach a student. During an interview, Steven Jobs, Co-Founder of Apple explained the value of learning how to code, this way. Learning to code can help students develop a more open mindset, that provides for the development of enhanced skills in critical thinking and problem-solving, communication and collaboration, and advanced organization. This can result in improved academic skills in students who may or may not choose to pursue a career in computer science, but who have a greater capacity for learning and application.